Dr. Edward Y. Lin has a true love and passion for orthodontics and considers himself incredibly lucky to care for patients and serve families right here in his home community. 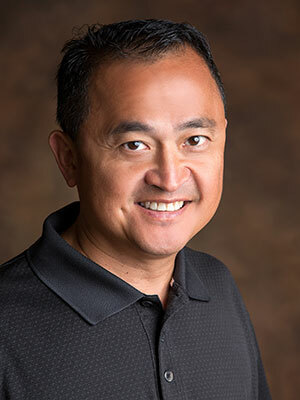 Dr. Lin grew up in Green Bay, and after graduating from Abbot Pennings High School and the University of Chicago, he continued his dental education and orthodontic residency at Northwestern University Dental School. He has been in private practice since 1999. Dr. Lin is an industry-respected orthodontist and internationally recognized speaker on advanced orthodontic technologies, including SureSmile®, 3D imaging, and Invisalign®. He also sits on the clinical and faculty advisory board for SureSmile, and the advisory board for American Orthodontics, and he has been a past member of the technology committee for the American Association of Orthodontists. Dr Lin is also an honorary member of the South African Society of Maxillofacial Oral Surgeons. He has lectured for orthodontic residency programs across the world and has authored numerous articles that appeared in dental and orthodontic journals. He also serves on the editorial boards for the journals OrthoTown and Orthodontic Practice. Given rapid changes in orthodontics and ongoing advances in technology, Dr. Lin has made continuing education a lifelong commitment. He is a member of the American Dental Association, the American Association of Orthodontists, and the World Federation of Orthodontists, as well as state and local dental societies. In further support of his community, Dr. Lin volunteers his time at the Northeast Wisconsin Community Dental Clinic and serves on the board of directors for the Breast Cancer Family Foundation. A devoted husband and father, Dr. Lin enjoys spending time with his wife Siri and two children, Olivia and Royce. He loves golf and taking family trips. And of course, he’s a diehard Packers fan!